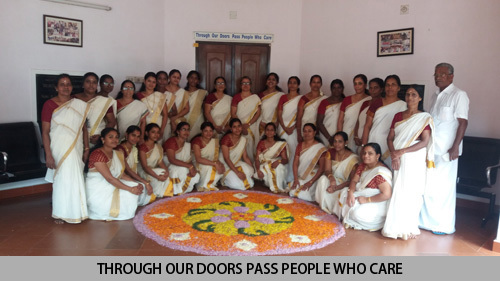 The history of our school dates back to 1991 when our principal & Director, Mrs. Shanta Menon, settled down in Thrissur and decided to begin a vocational center, rfor the hearing impaired at her residence, under the name of DARE (Developmental Activities in Rehabilitative Education) in June 1991. The ten years of experience in the field of special education from REACH (Society for Remedial Education Assessment Counseling Handicapped) located at 18/2/A/3,Uday Sankar Sarani, Golf Green,Kolkata-700095, a society ,which has been doing yeoman service in the field of special Education & Vocational Training at Kolkata under the guidance of the Executive Director Dr.(Mrs.)Purobie Bose ,proved invaluable. 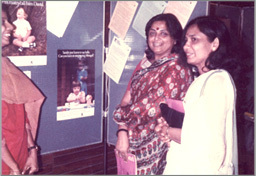 The continuous pressure from the parents of children with multiple disabilities prompted Mrs.Menon to take up the task of caring for Differently abled children as well, which subsequently led to the birth of “SWASRAYA” as a branch of REACH in 1993 at a more convenient place at Patturaickal ,Thrissur. With the increase in strength of students,the school once again had to shift location to Viyyur,Thrissur. With the backing from well wishers and philanthropists,the long cherished dream of moving into our own building materialised in June 2001, at Kuttur. 23rd of may 2016 is a milestone in the history of “SWASRAYA “,when it registered itself as a separate entity (charitable trust), in it’s Silver Jubilee year, as per the advice of the parent body “REACH”. The present strength of the institution stands at 173. To work towards an improved quality of life and the total integration of children,persons with disabilities in societies to which they belong. Purobie Bose, Exeecutive Director, Reach, has a doctorate in Special Education form University of Norway. She worked at the Oral School for the Deaf from 1969-1981 and then founded Reach in 1981. Shanta Menon, director, has a post- graduate degree in sociology from Kamaraj University and a post-gruduate diploma in Special Education from Reach. She worked at Reach since inception and then started the centre in South India in 1991.